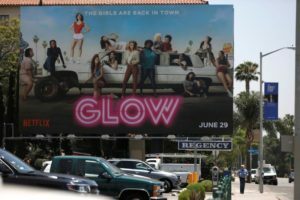 Netflix is in the process of acquiring Regency Outdoor Advertising’s premier OOH locations along the Sunset Strip in Hollywood. Those billboards are some of the most iconic canvases available, standing prominently in the heart of the entertainment industry. This innovative move makes a lot of sense for the media behemoth. Entertainment companies have long been champions of using OOH advertising to launch their new releases. This step by Netflix takes media distribution to a new level, ensuring premier visibility for self-promotional purposes. It also effectively eliminates many of Netflix’ top competitors who would like to herald their new releases in the audiences reached by those placements. We are witnessing a convergence play with content distribution, OOH and technology to achieve deep audience reach. It makes me think, what other media and content creation companies are considering similar moves? After all, rumor has it that Google is on the hunt and eager to get its foot in the game. What market will be next? Would Disney ever consider buying Clear Channel? Spotify has grown to be the world’s largest music streaming service, serving over 170 million users. At this year’s 2018 Cannes Lion Festival, they won the first ever Media Brand of the Year award. 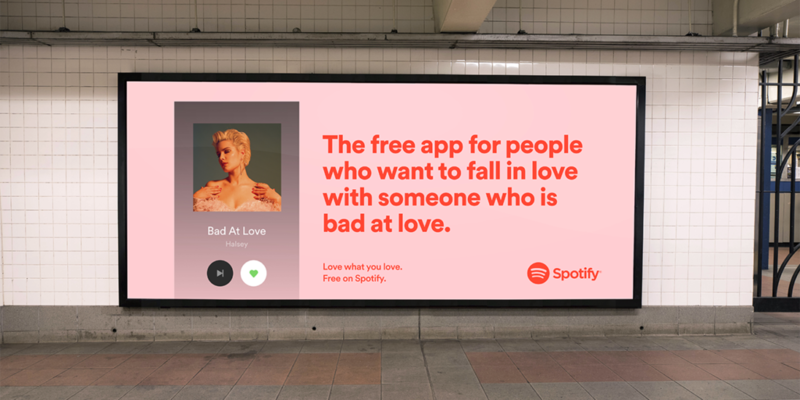 In its inaugural year, the award was given to Spotify because of its forward-thinking approach to how their audience interacts with their technology and brand. By employing OOH’s media diversity, the setup for tremendous audience and social media reach extended the brand message far beyond the ad placement. In a recent Adweek article, Alex Bodman, Global ECD, discussed their Love What You Love campaign. 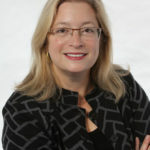 The strategy was to leverage their listeners’ unique communication loop with the scale and unique placement of OOH. In other words, to be everywhere, like the music. 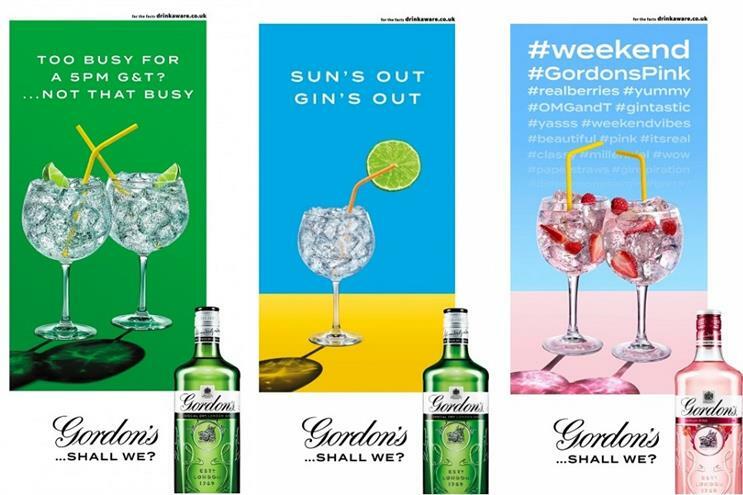 Diageo, renown producer of spirit and beer brands, are capitalizing on Digital OOH in one of the most dynamic and innovative uses of the format to date. Their groundbreaking campaign serves up creative that changes based on location, weather and time of day. In one example, ad creative along a city sidewalk would change after work hours to target people looking to get a drink as they left work. The campaign resulted in extremely targeted, high-quality audience impressions. The innovative approach drove greater purchase consideration with relevancy—a fundamental tenet of location-based strategy. Innovation comes in the form of many shapes and sizes. It can meet a dire need. There were potholes big enough to swallow a car this year in my hometown of Philadelphia. How about yours? 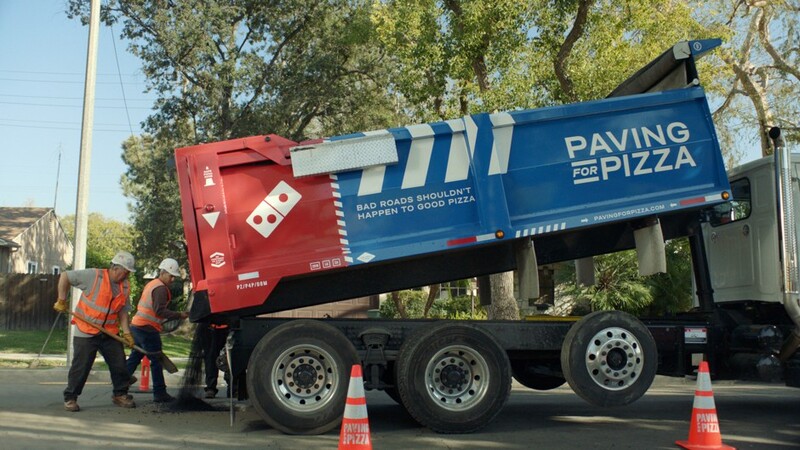 Domino’s Pizza leveraged this growing need to repair the roads after a bitter winter. It launched a campaign, called Paving for Pizza, where they dispensed monetary grants to cities around the country to fund pothole filling and road repairs. Their branding adorns the cement trucks, work crew uniforms, and even the filling cement itself. They’re doing a community service while gaining some major visibility. Beyond the actual branded items consumers may have seen around their town, the stunt was so clever that it picked-up traction on social media and in the press, and it’s now the focus of their latest TV commercials. There’s no better way to enhance Out of Home advertising than having fans and media outlets serve as your free brand ambassadors! REI, the outdoor equipment and apparel retailer, launched its #OptOutside campaign more than three years ago. The campaign is helping develop a community that is focused on the great outdoors with a message to get out there. The campaign ran on Out of Home formats in key markets around the country, celebrating the “anti-holiday” by shunning the traditional retail rush of Black Friday. This multi-year, future-facing campaign has effectively driven greater same store sales. The outdoor gear and apparel company published reports showing sales at 3.6 times higher than normal, over a three-year period of the campaign. In the near future, we’ll witness the evolution of the tools, creativity and marketing strategies in Out of Home. 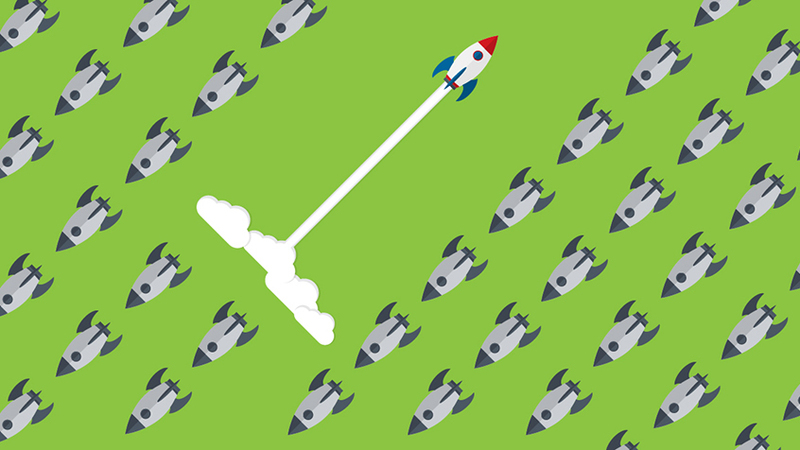 Advertisers who can capitalize will find innovative ways to reach their audiences. The result will be a transformation in the way users experience and gain affinity for the brands. Let EMC Outdoor’s media strategists help you innovate and elevate your brand. Contact us using the form below! Great stories Betsy! We live ‘em too!